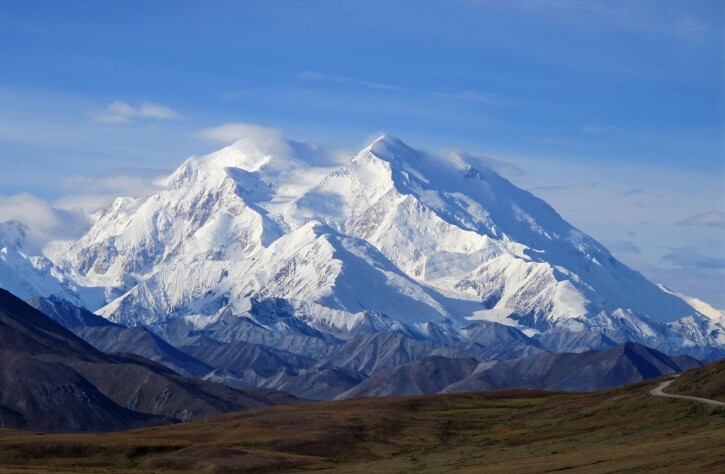 Washington - President Barack Obama will change the name of North America’s tallest mountain peak from Mount McKinley to Denali, the White House said Sunday, a major symbolic gesture to Alaska Natives on the eve of the president’s historic visit to Alaska. Who the heck is he to change names of mountains. Will he rename Mount Sinai to Mount Barak Hussein ? “ Who the heck is he to change names of mountains. Did you come up with your reasoning all by yourself or did you ask a 2 year old to help you? By your "logic" it is not permissible to change names from earlier names. That being the case, of course Israel must revert to Canaan and Jerusalem should definitely revert to Urusalem, which was the pre-Jewish name. However, if you are not comfortable going that far back, we can just adopt the Roman name of Syria Palaestina. Does that make you feel better? New York should certainly go back to the original New Amsterdam as who were the British to change the name of a city? And, genius, Mt McKinley should go back to its original name of Denali, which is what the former and CURRENT Athabascan residents of that area called it before some white dude who was looking for gold named it after a president who had never visited Alaska at all. Well, he didn't actually rename it. The mountain's local (indigenous) name has always been Denali, much the same as Mt. Everest's local name has been Chomolungma. All the President did was make it the official geographic name so new maps will use "Denali" instead of Mt. McKinley. My question is when will the mountain's companion peak, Mt. Foraker (about 17,450 FT) be renamed to it's native name, in fact, what is it's native name?